The pair are finally wed after two years of dating. It's a happy week for Kate Mara and Jamie Bell, who are celebrating life as newlyweds following their marriage recently after just 6 months of engagement. They confirmed their happy day with a snap on social media this week and the internet couldn't be happier for them. Both Kate and Jamie posted the same blurry shot of themselves kissing at their wedding reception on Instagram yesterday (July 17th 2017), with Kate captioning the shot 'nuptials' and Jamie writing 'Me and Mrs B'. Few other details have been released regarding the special day. 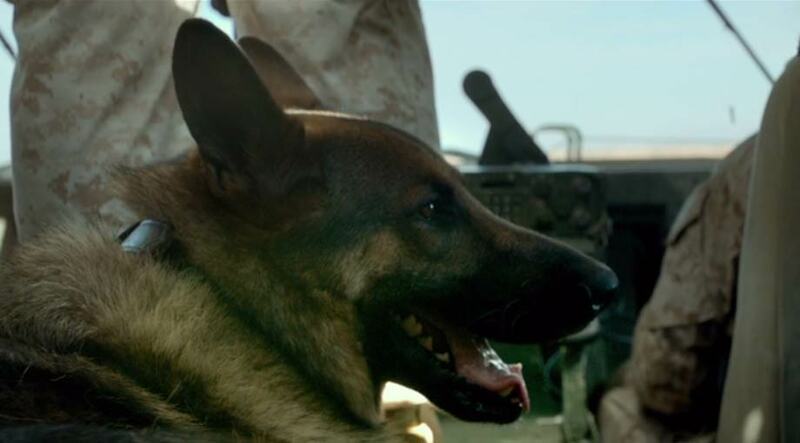 The drama Megan Leavey is based on the true story of the eponymous US Marine corporal's relationship with her military combat dog Rex, whose job was to sniff out explosives in Iraq. After her tour ended, Leavey learned that most combat dogs are put down, so she had to campaign to adopt her dog. 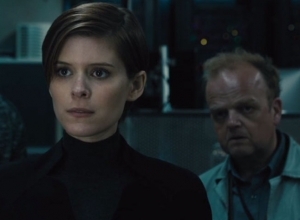 The film stars Kate Mara as Leavey, and the actress admits that playing the role was a challenge. "Because of the subject matter, it was emotionally the most difficult part I've played," she says. "It's always a little bit tricky playing real people. 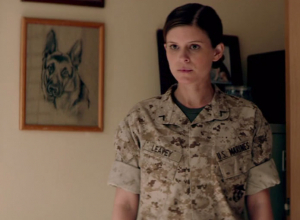 Obviously, you feel an extra sense of responsibility, and this one specifically just felt extra special, probably because when I met the real Megan Leavey, I just felt like I knew her instantly, like we'd been friends, like we grew up together or something. In the new thriller Morgan, Kate Mara teams up with The Witch's break-out star Anya Taylor-Joy. 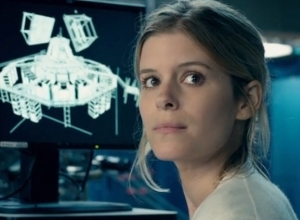 Mara explains the plot: "Well, from my character Lee Weathers' point of view, it's about a risk-management consultant who's hired to assess whether or not this artificial being named Morgan [played by Taylor-Joy] is too dangerous to keep alive, and whether it and the project should be terminated after it attacks one of the researchers. It's science-fiction, and a thriller and an action movie." The action aspect was important. "There was a lot of physical training for me and Anya before the shoot," Mara says. "[Director] Luke Scott is a boxer, and he's very passionate about it. He suggested that I take up boxing for this character, to get into that athlete mentality. And then he also wanted me to be able to do ballet and pilates! It was to balance the sort of feminine and masculine sides of the character. Then, when we went to Ireland, we were trained with weapons. We drag raced at one point, because I have to be able to drive really well for a chase scene. And then there were weeks of stunt training as well. So it was more prep than I've ever had to do for a role." Just as people began to write off veteran director Ridley Scott after a series of merely OK movies, the 77-year-old casually releases his most entertaining film in years. This sci-fi adventure is lithe, humorous, thrilling and genuinely moving. In other words, it's one of Scott's best films, mixing eye-catching visuals with a story that resonates with both emotion and deeper meaning. And it's also a lot of fun. In the very near future, the first manned mission to Mars is caught off guard by a sudden storm. 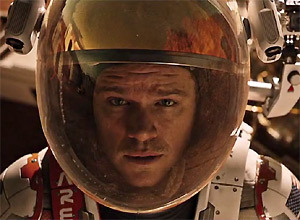 With their ship in danger, Commander Lewis (Jessica Chastain) orders the crew to evacuate, but in the chaos botanist Watney (Matt Damon) is knocked away and presumed dead. 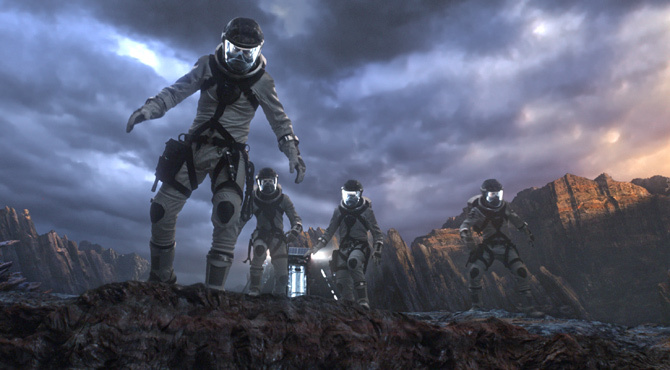 As Lewis and her team (Michael Pena, Kate Mara, Sebastian Stan and Aksel Hennie) begin the long trek back to Earth, Watney wakes up alone on Mars and understands that he will need to survive until the next mission arrives in four years' time. But his habitat is only designed to last for 30 days, so he has a lot of work to do. Eventually, he thinks of a way to get a message back home to Nasa, letting them know he's alive. Now the experts (including Jeff Daniels, Chiwetel Ejiofor, Sean Bean and Kristen Wiig) must figure out a way to rescue him before he runs out of food and water. The story plays out on three fronts: with Watney using his expertise to survive, Lewis and her crew on their long journey back home, and the Nasa officials mounting a rescue mission. All three plot-strands are riveting, using convincing science to explore the conundrum while cranking up the emotional urgency of the situation. Intriguingly, the script never gives Watney a family back on Earth to sentimentalise things; the film simply doesn't need that. And Damon more than holds the audience's sympathy. He's funny, smart, tenacious and thoroughly identifiable, the kind of person we wish we would be in the same situation. 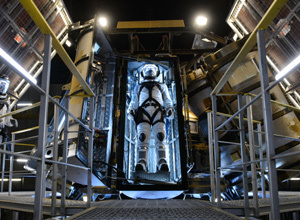 In these faux featurettes, the crew of Ares 3 talk us through some of the procedures and practices they must go through before embarking on their perilous mission to Mars. The small team of astronauts are put through rigorous training and exercise programs to make sure they're both mentally and physically fit for the mission. The team also talk about how they will actually get to Mars and show you around their ship. 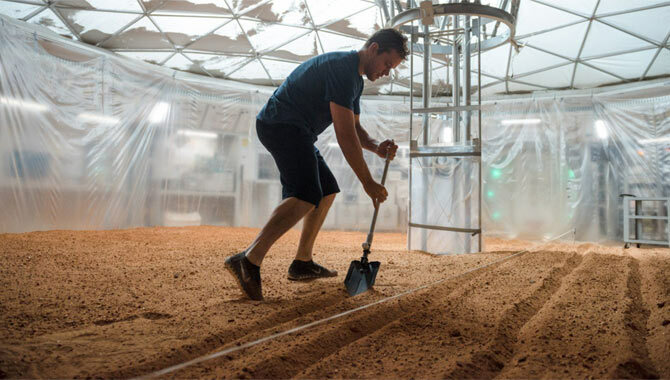 Matt Damon leads the cast in The Martian, he plays astronaut Mark Watney who specialises in botany and mechanical engineering. 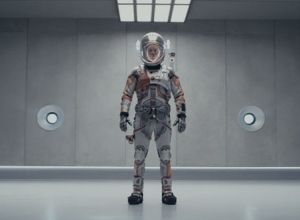 The story follows his struggle to survive as he becomes deserted on Mars after a near fatal accident. Until the special effects take over in the final act, this is an unusually gritty, grounded superhero thriller, with characters who are so believable that the wacky science almost seems to make sense. This is Marvel's very first franchise, and the filmmakers are unable to resist the pressure to indulge in an overblown finale, and the digital mayhem they give into is oddly unexciting. So as an origin story, this film is more involving than most, but the superhero action itself feels rather limp. It opens as an exploration of the school friendship between the misunderstood genius Reed (Miles Teller) and junkyard bully Ben (Jamie Bell), whose teleportation science experiment gets them in trouble. But Dr Storm (Reg R. Cathey) sees that their work solves a problem he has encountered in his own experiments, so he brings Reed to New York to join his well-funded, high-tech team. 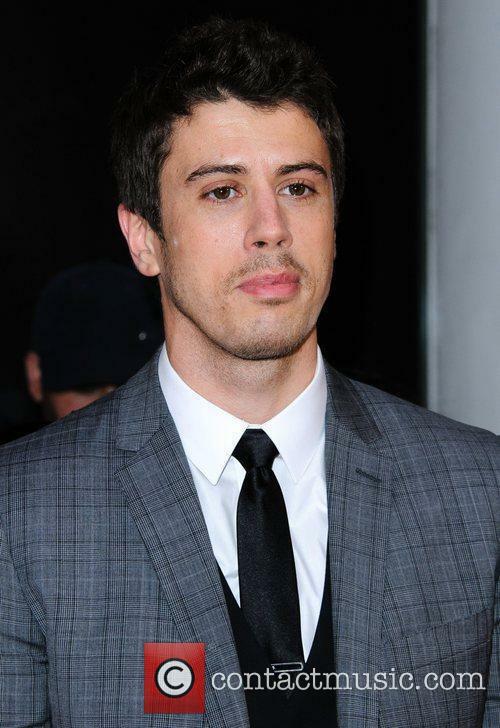 Working with Victor (Toby Kebbell) and Storm's children Sue and Johnny (Kate Mara and Michael B. Jordan), Reed builds a full-size teleporter that succeeds in crossing over to another dimension. And Ben joins the crew for an illicit first voyage that goes spectacularly wrong, leaving Victor on the other side, while Reed, Ben, Sue and Johnny emerge with superpowers caused by altered DNA. The big boss (Tim Blake Nelson) immediately starts training them for military action, but Reed remains determined to make things right. A strong cast helps all of this play out with remarkable introspection, letting each character develop an organic back-story that brings them together as an uneasy team. The inter-relationships are complex and engaging, veering from rivalry to camaraderie. Teller anchors the film with a layered performance as a smart, troubled guy who struggles to maintain friendships as he focusses on his work. Mara and Johnson add some feisty attitude, but it's Bell and Kebbell who provide the spark of personality that makes this crew so engaging. Then both of them become animated characters (Bell as The Thing and Kebbell as Dr Doom) without even a hint of the actors visible underneath. And the movie never quite recovers its momentum. Ashley Smith is heavily addicted to drugs so much so that she has lost custody of her young daughter, who is also without a father following the death of Ashley's husband. She regularly attends a support group, though still struggles to find peace. Another woman in the group gives her a copy of 'The Purpose Driven Life' by Rick Warren, which proves to have a much bigger effect on her life than she imagined. Meanwhile, a violent criminal named Brian Nichols who has just found out he's a father has escaped from his trial at Fulton County courthouse, murdering the judge along the way. 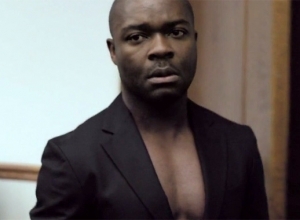 As a manhunt gets underway, he bumps into Ashley on her return home and holds her hostage in her apartment. As time wears on, Ashley begins to read the book to Brian who starts to question his actions, and his own purpose in life. 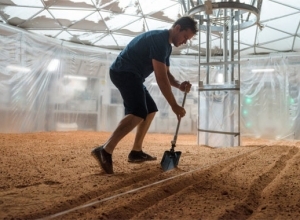 Mark Watney is an astronaut whose resourceful and determined personality is the only thing he has to rely on when he is accidentally abandoned on Mars when his team abort their mission in the face of an oncoming storm. He is presumed dead, but he has miraculously survived, though injured, and now must do everything within his power to get a message to NASA, calculating that if they get it, he still has to survive for four years until they reach him. He has little left in the way of supplies and is living in a Hab which is meant for only a month's worth of use. On his to do list is to attempt to grow crops to survive on, and do everything he can to make water. Luckily for him, a message does reach NASA and his crewmates immediately come together to work out how to rescue their man.